EY is a global leader in assurance, tax, transaction and advisory services. The insights and quality services we deliver help build trust and confidence in the capital markets and in economies all over the world. We develop outstanding leaders who team to deliver on our promises to all of our stakeholders. In so doing, we play a critical role in building a better working world for our people, our clients, and our communities. 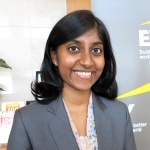 Worldwide, EY has over 240,000 people working across 150 countries. 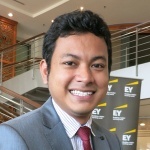 In Malaysia, EY is one of the largest professional services organizations with over 3,300 employees in 16 offices throughout the country. We serve a broad range of clients across all principal industry sectors and market segments in the country. At EY we like to look for smarter and better ways to do things. We like to ask, what if? You see, the biggest breakthroughs in this world happen by asking these two small but powerful words. Lasting achievements start with looking at things in a different way and that’s what we’re all about. It’s the legacy we create for our clients, communities and our people. And we want you to be part of it. It’s your opportunity to do something exceptional — something that matters to you, to us, to the world. We’ll provide you with experience and experiences that’ll shape your career for years to come. Because when you grow, we do too. With EY, you can influence the future of your career, the businesses you work with and even the world you live in. Because better begins with you. EY is a global leader in assurance, tax, transaction, and advisory services. The insights and quality services we deliver help build trust and confidence in the capital markets and in economies. At EY, we want you to be yourself. We want you to bring your intelligence, energy and integrity into EY services and drive better business outcomes. As a global leader in assurance, tax, transaction, and advisory services, we’re using the finance products, expertise and systems we’ve developed to build a better working world. 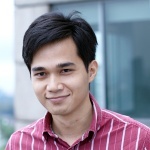 Firdauz has completed Bachelor (Hons) in Business Information Systems at University Technology of PETRONAS in the year 2010. Bothini has completed Bachelor of Science in Applied Accounting at Oxford Brookes University in the year 2008.